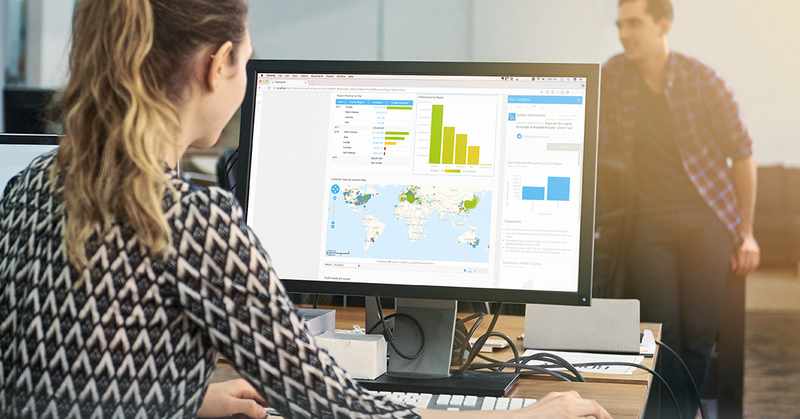 Yellowfin 7.4’s new data transformation module will help businesses get to their insights quicker and more efficiently. Last month, I shared part of the Yellowfin 7.4 product roadmap in my post about Augmented Data Discovery. Here is another preview – this time into our new data transformation module. Many people who use Yellowfin really don’t have the budget or complexity to require a fully-fledged ETL tool. So in Yellowfin 7.4 we’re releasing a data transformation module that is essentially a lite version of ETL. This will help many of our customers deliver value faster. We know many analysts often start to manipulate data within one tool and then realize they actually need another tool to complete the task. As they switch products it slows down the process, so we’re eliminating this speed bump. We also know that some analysts are doing complex calculations within Yellowfin. This impacts the performance of the databases they’re connecting to and the reports they’re running. They may get to their insights eventually, but it’s slow. We’re adding value by creating a transformation module that operates seamlessly within our own infrastructure. This means it will work with all our existing security features, so the analyst can just get on with doing their job. They won’t need to go outside the product and login to something else, they can finish what they’re doing within the same tool. This module won’t necessarily replace the need for existing ETL tools, from lightweight tools like Paxata and Alteryx all the way through to Talend and the Informatica’s of the world; we’re not pretending to operate at that level. This module is a much lighter version that helps people get past minor roadblocks to their insights quicker. Adding transformation is a big departure for us. Traditionally Yellowfin has been used at the presentation layer of the analytical stack, but this module moves us a little further down. We’ve chosen to do this because we’ve seen the bottlenecks and frustrations that our customers experience. With this release, we’re reducing the time to insight by removing the need to switch tools. We’ve debated about whether to move down the stack internally for a long-time now. It felt like the right move as Yellowfin is increasingly used in complex environments where people need to work with non-relational data sources. When we were developing the tool we looked at how a number of users interact with Yellowfin and realized that this was a natural extension of what we are already doing. We’ve taken our knowledge of how people like to present and construct data, and used this to add real value at the transformation layer. Many software vendor partners that we speak to have great development skills but they’re not data engineers. This module helps them create a single product end-to-end that they can then build an analytical app with. While ETL isn’t something that many people get excited about, I’ve been inspired by how our team has built a comprehensive solution to this customer problem. What will be really exciting is seeing what our customers do with this module. For our customers, this will deliver a single interface to connect their data all the way through to building dashboards and apps. This means there will be less moving parts and a faster, more efficient development timeline. It will solve the problem of time to insight for many of our customers. Finally and most importantly, the data transformation module will be part of our 7.4 release which will hit the market in October.